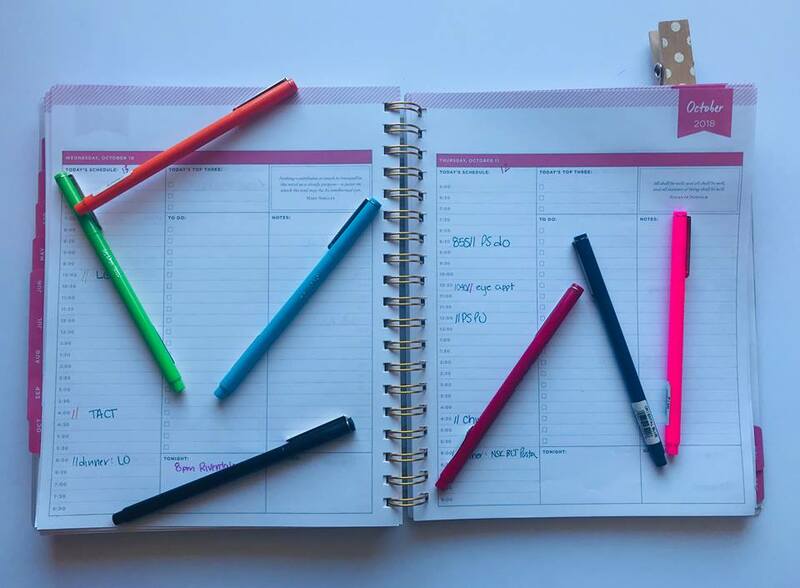 An organized life. With two small children is that even attainable? For me, it was a necessity if I wanted to be able to function and avoid the overwhelming anxiety I feel in times of chaos. But let’s face it, life with kids is, at best, chaotic! After becoming a Mom, and then later a Stay at Home Mom, I began reading blogs and searching Pinterest for organizing tips and tricks. Some have worked and some haven’t. But one thing that is essential to me is that I go into a new week with a solid idea of what I can expect over the next 7 days. 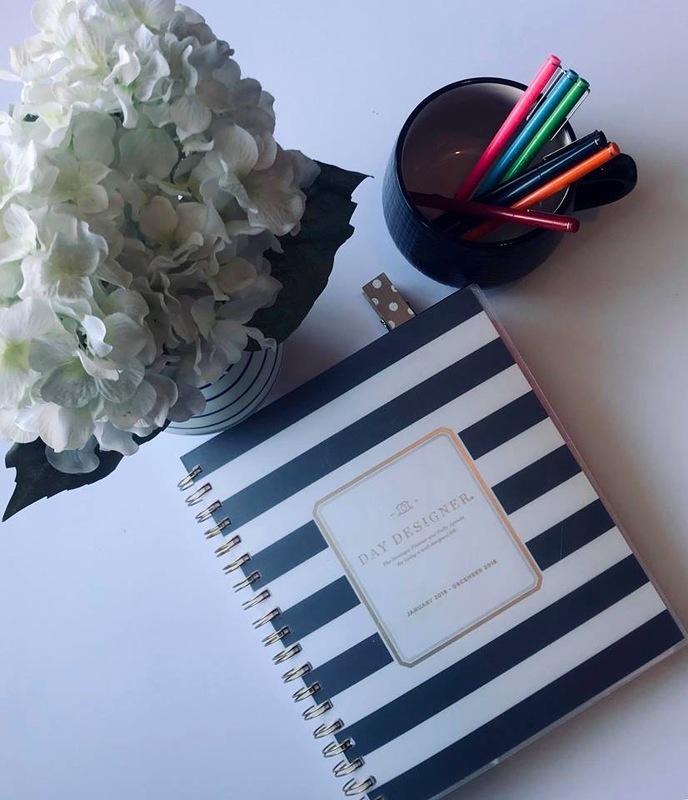 Yes, I do planning at the beginning of the month too, but a week has always seemed like a manageable about of time to plan for and have a good grasp of at a time. 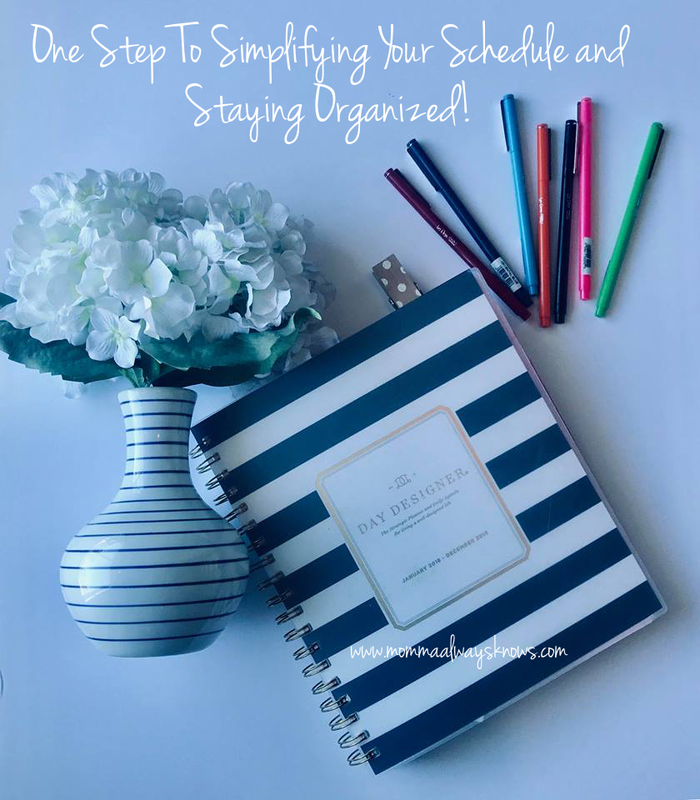 So for me that means sitting down sometime on Sunday – either during nap time or after the kids are in bed – and spending about 20 to 30 minutes with my planner, phone calendar, budget and, sometimes, my husband and getting things for the new week lined up. I tend to schedule appointments in my phone when we’re out and about but I only look at them on Sunday, when I transfer everything to my pen and paper planner. That’s what lives in my kitchen, in the corner of our island – much to my husbands dismay – and that I look at constantly. I put our meals in my planner, any and all appointments and things I need to remember. It’s also where I add “To-Do” items for the week. I put my cleaning schedule in there to keep me from getting overwhelmed. If we have a bill due, that gets written down too. Snack week for Andrew? Yep, that gets added! My planner has a spot for all of this info – and I love it! I’ve been using a Daily version of this planner for a few years now. I’m switching to a weekly version for 2019 though because I want to see how I feel about having the whole week available at a glance. If you’re planning for more than one person I highly suggest using a color coded system. For our family I’m pink, Darrin is a lighter blue, Lucas is orange, Andrew is green and everything family related is a dark teal. My To-Do items get entered in red and a check them off in black! We also use a Menu Board that I made for $5 from a Thrift Store frame and a magnetic calendar on our fridge for a monthly view of the big things! Organization is key for me of I fall apart. It fits my “Green” personality so it’s not surprising. If you’re not a big organizer yet but want to be, start small! Grab a planner, start using your phone calendar or get a wall calendar for your home. After a while it gets to be like riding a bike. You’ll stop missing appointments, wondering what the heck to do with your kids or stressing over cleaning the house. Check out this video for even more tip from me on prepping for the week ahead and avoiding those feelings of overwhelm on Monday morning! Is organizing in your blood like it is mine? Or maybe it’s something that seems so foreign to you? 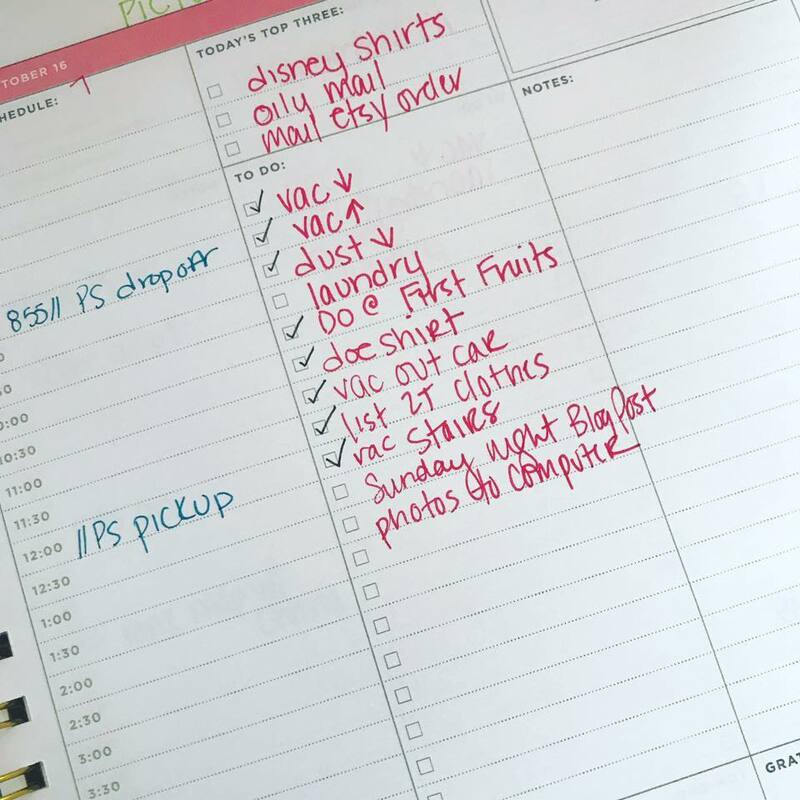 What is one tip you’ve found works best for you when it comes to staying organized and on top of things?